A month ago, Google began allowing businesses to once again edit their business description. 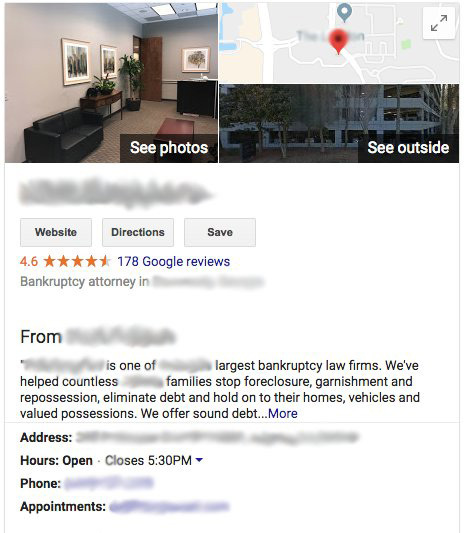 Now, people are noticing the box that shows this business description, titled "from the business" is now showing up higher in the Google local panel. Dave DiGregorio posted on Twitter that he sees the section moved up in the local panel on desktop, some are seeing it on desktop too. I don't see it for myself and I know I added a business description for my company but it doesn't show up at all for me. I suspect Google is testing to see if the local panel gets more engagement if the business description is higher, lower or not there at all in the local panel?